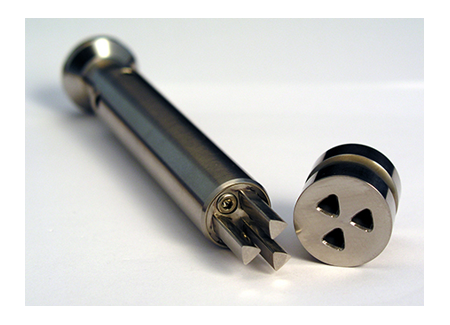 Finding yourself in need of custom designed tooling? We’ve got your back! Designed with quality and cost in mind, Natoli Engineering custom manufactures a variety of tablet press-specific and single station tooling to fit your exact specifications and requests. We’re your solutions provider in the tablet compression industry. Contact us to get started on your custom punches and dies project. We manufacture press-specific tooling to support virtually any tablet press machine on the market today. 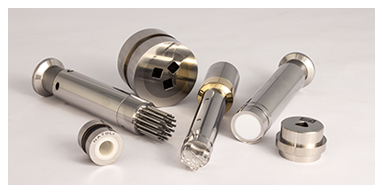 From unique sizes to specialty shapes, our team of experts will design custom punches and dies to meet your needs. Natoli single station tooling is ideal to use in pharmaceutical laboratory research and development when only small samples are available for testing. Single station tooling supports manual tablet presses and consists of one upper punch, one lower punch and one die. We also manufacture a line of laboratory presses. Using these high-quality materials, we will exceed your expectation like we have for many others in industries like yours. Whether you’re in the market for custom punches and dies or anything else, Natoli Engineering will deliver.